The losses suffered by neighbours are in the tens of $millions. A class-action just launched by some of those neighbours is chasing Australia’s most notorious wind power outfit for $20 million in loss and damage, with more neighbours set to join the action and add many $millions more to that number. 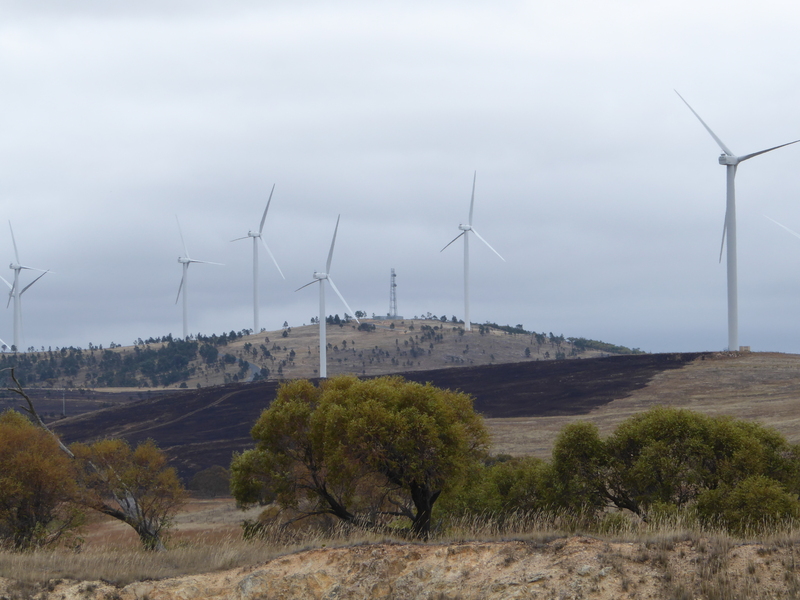 The owners of a wind farm near Canberra are being sued for sparking a catastrophic bushfire in January, in what is believed to be the first class action of its type in Australia. Victorian firm Maddens Lawyers filed the class action against Infigen Energy Ltd in the NSW Supreme Court after a crow electrocuted by a transmission line carrying power from the company’s Woodlawn wind farm sparked the fire, which burned 3400ha and caused up to $20 million damage. The statement of claim, filed on behalf of lead plaintiffs Fred Kuhn and Liz Stewart of Mount Fairy, east of Canberra, alleges Infigen was aware of the risk a bird strike on its high-voltage ­infrastructure could cause a fire. The blaze, known as the Currandooley fire, was caused when a crow connected with overhead electrical infrastructure, caught alight and dropped into dry foliage beneath the powerline that transfers electricity from the Woodlawn farm to a substation at the nearby Capital wind farm. Both wind farms, the power line and substation are owned and operated by Infigen Energy. The company was aware of numerous previous incidents of bird strike on its electrical infrastructure but failed to take appropriate steps to address the risk until after the fire, the statement of claim alleges. Thirty-three individual claim­ants from 22 properties affected by the January 17 wildfire have instructed Maddens to seek compensation for their loss and damage. The law firm said it was aware of six more properties affected by the fire but was yet to receive instructions from those owners. Maddens’ class-action principal Brendan Pendergast said Infigen was aware of the bird strike problem but had failed to address issues such as managing fuel load under the transmission line. However, the company slashed grass and installed compacted gravel under each pole of the transmission line after the fire, Mr Pendergast said. He said the company could also have instituted some design fixes on the transmission line to prevent birds being electrocuted. Maddens has been involved in bushfire litigation since Ash Wednesday in 1983, and its cases include Victoria’s 2009 Black Saturday catastrophe. Mr Pendergast said he believed the Currandooley class action was the first bushfire litigation against a wind farm. 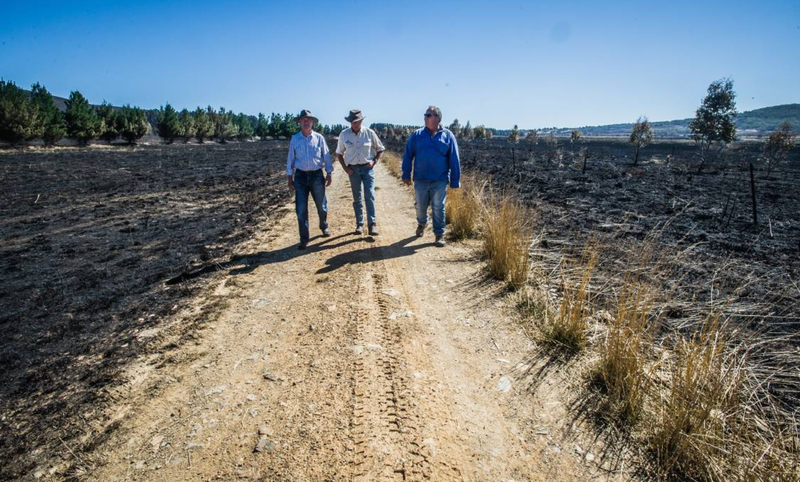 Burnt out: land owners survey the aftermath. Here’s the local rag’s take on Infigen’s liability. A Victorian legal firm has mounted a class action over the Currandooley fire which burnt out almost 3400 hectares near Tarago in January. Maddens Lawyers of Warrnambool will represent 33 individuals owning 22 properties in the NSW Supreme Court action. 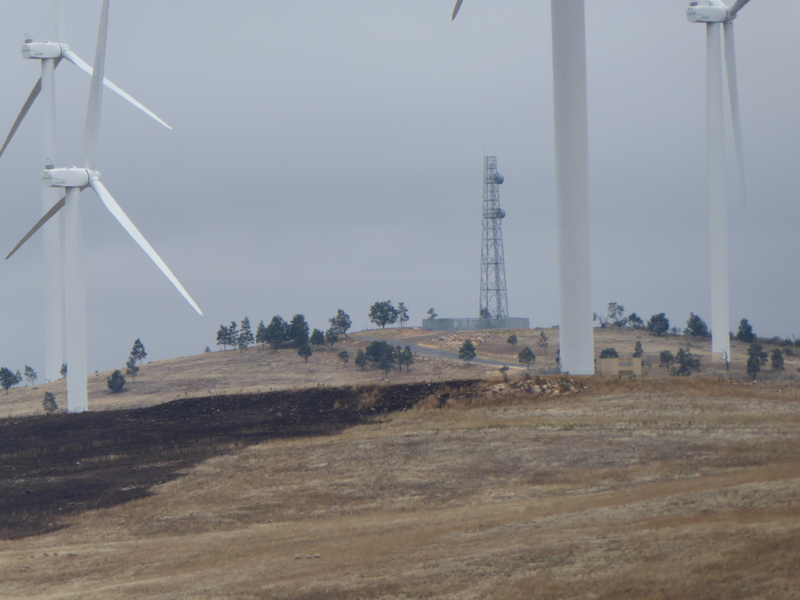 The blaze started at Infigen’s Capital Wind Farm off Taylors Creek Road, near Tarago on the morning of January 17. It tore through 3384ha, fanned by strong winds and fuelled by high heat and dry conditions. No one, not even senior RFS firefighters, believes that a crow started the fire. When initially presented with that story by our NSW’s operatives, an experienced RFS officer burst out laughing. Infigen started the ‘crow did it’ ruse in an effort to deflect attention from the real culprits, maintenance workers on site who were seen leaving the scene minutes before the bushfire went out of control and spread. As we reported back in January, from what our NSW operatives tell us, the fire was started by maintenance workers employed or contracted by Infigen. Between 9am and 10am on 17 January, workers were engaged in the maintenance of the turbine depicted in the right foreground of the picture above. The fire broke out just before 10am, and in the hot and blustery conditions, it didn’t take long to turn into a serious disaster and mortal threat. As to the ignition source, local farmers believe that the workers were operating welding or grinding equipment at the time, although one suggestion at the time was that their vehicle may have started it; and, on what we’ve been told more recently, there is a strong possibility that it did start the blaze. A petrol powered vehicle with a catalytic converter will readily start a grass fire, if the vehicle is parked on dry grass (of which there was plenty on-site that day). Modern diesel powered vehicles are also equipped with diesel particulate filters (DPF) or diesel particulate diffusers (DPD), which remove particulate matter (soot) from exhaust gases and, like catalytic converters, reach temperatures of 500-900°C during the ‘regeneration’ phase, when the soot is effectively incinerated inside the DPF or DPD unit. In this article – Rural Fire Service trucks a fire hazard – in a fiery twist of irony, brand new diesel fire trucks fitted with DPD systems were found to ignite flammable material within a matter of seconds. On 17 January, a total fire ban was in place in NSW, covering the area to the north, east and west of Canberra. 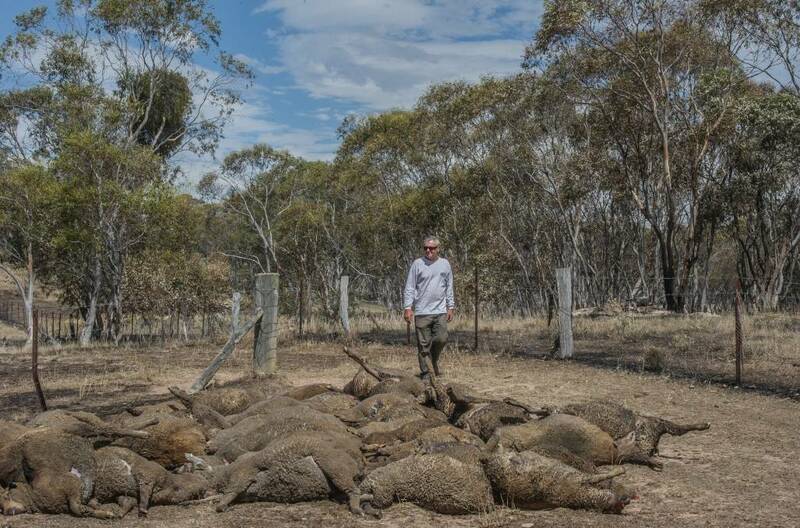 It reached a top of 39C in the region, with wind gusts of about 50 km/h – what farmers will, in their usual understated manner, refer to as “a bad day”. On days declared a ‘total fire ban’, you cannot ‘carry out any activity in the open that causes, or is likely to cause, a fire. No general purpose hot works such as using tractors, slashers and/or welding, grinding or gas cutting can be done in the open either’. Civil law suits can also be brought against the person responsible for a fire by those seeking compensation for losses sustained. Indeed they can, and in this case they have, in a multi-$million case against Infigen, for all the losses sustained. A neighbouring property owner who suffers losses caused by bushfire will claim on their own property insurance for the loss of crops, pasture, sheds, dwellings, vehicles, equipment and livestock. If that property owner did not cause the bushfire, their insurer will satisfy the claim. However, that insurer will seek to recover what it has paid out under their policy from whoever it was that was responsible for the bushfire that caused their customer’s losses: what’s called a “recovery action” – the insurer steps into the shoes of their insured and recovers what has been paid out under the policy from a negligent wrongdoer. The terms of property insurance policies are one of the reasons why farmers refrain from harvesting crops on total fire ban days and generally avoid the kinds of activities in the open that cause, or are likely to cause, a bushfire. If a property owner starts a fire on their property, and that fire escapes and causes losses to their neighbour, the property owner may still be covered under their insurance policy for the losses caused to their neighbour. However, they will not be covered on a total fire ban day if the activity they have engaged in is an activity which is prohibited under state fire ban regulations. In short, if a farmer is harvesting or welding or using an angle grinder outside on a total fire ban day and a bushfire starts, he will be personally liable for the financial losses caused to his neighbours, as his insurer will deny cover under a term that excludes operation of the policy in those circumstances. Infigen are still sticking with the crow story, denying any liability for the losses caused and asserting that they are fully insured, in any event. Like most of of the media manipulation that emanates from Infigen, claims to be taken with more than just a grain of salt. With $20 or $30 million at stake and a team of lawyers specialising in class-action lawsuits for loss and damage caused by bushfires hot on their heels, Infigen’s efforts to avoid responsibility for a devastating bushfire are about to be tested in the Supreme Court of NSW, where propaganda and myths, fortunately, carry very little weight. Time to pay up: just a few of Infigen’s innocent victims. 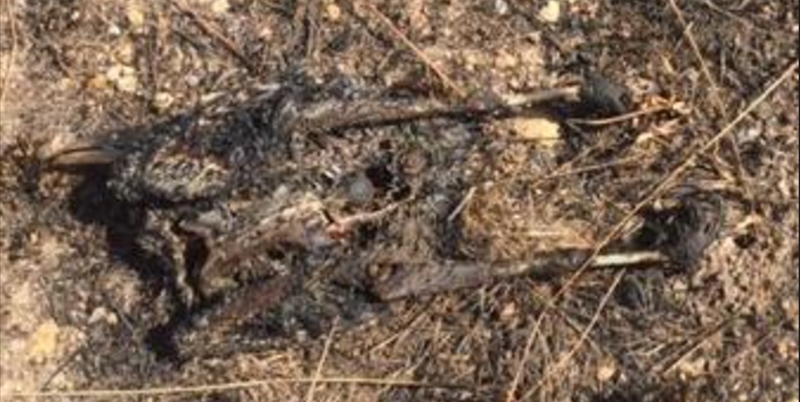 If all the ‘evidence’ given to the investigators pointed to a bird catching fire and falling to the ground as the reason, then that is what happened BUT was all the evidence given and considered. Were the maintenance schedules provided, were the workers there at the time interviewed? Was it explained satisfactorily why they were working on a Total Fire Ban Day? Did they provide evidence why they didn’t stay and try to fight the fire with an extinguisher and report the fire? Presumably they did have an extinguisher on board and had mobile phones at their disposal. Were their phones checked to see if they made such a call, and was evidence provided as to the instructions they were given? IF it was a bird catching fire as a result of hitting or coming close to the power lines then Infigen is responsible as they should have ensured their cabling was sufficiently insulated that this could not happen, apparently it is not uncommon for birds to die after being electrocuted when hitting such cabling. So whether it was a poor creature coming in contact with their cabling or as a result of an action by their maintenance crew Infigen is responsible. If they wish to deny this then the only other to be responsible could be the farmer who is paid to have the turbines on their land, for not ensuring there was no danger as a result of them allowing an industrial structure or other being installed on their land. Something ‘host’ landholders no matter where they are should be very concerned about as they could be found responsible for thousands of dollars damage to neighbours property and/or lives. What is clear though is the turbines and their cabling is a danger to life and property and to have them installed willy-nilly in areas subject to high fire risk days is something which needs to be addressed. These turbines and their cabling has to be made safe and/or completely turned off on such days to prevent a recurrence of the situation that occurred on this day. The cost of this is something all Wind Turbines Project companies should have to undertake on existing and new projects at their own expense. It’s their responsibility the ensure they are operating to a standard that does not pose a threat to any Australians property or life.